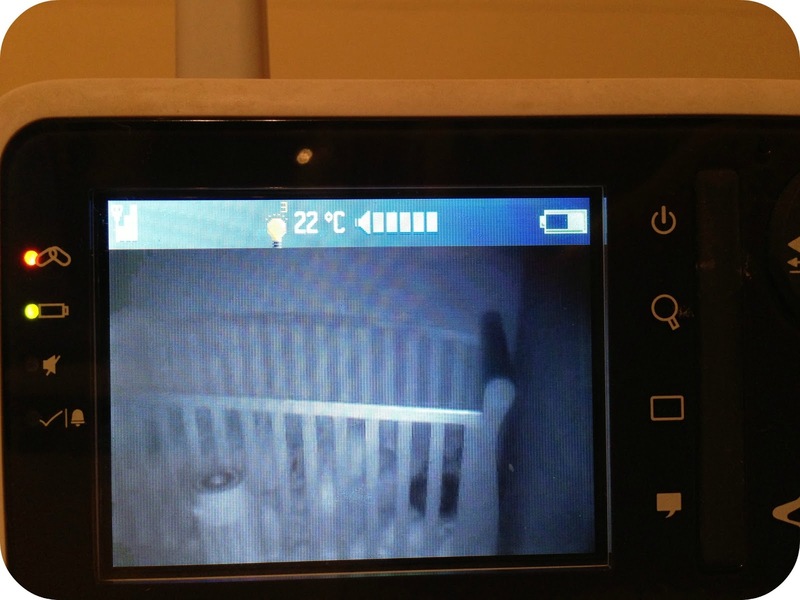 Baby Monitors are an essential piece of equipment. I am sure we have all given the range available to us a lot of thought before we have decided on 'the one' that we want to help us safeguard our sleeping babies. I know that I certainly did back in 2011 when I was in the market for a monitor. I took into account a number of factors and even read other peoples reviews on them. Did I want a video monitor? For a while yes I did, but then I talked myself out of it as I had images of just siting there watching my sleeping newborn. In the end I ended up with a movement and sound monitor but always lusted after the video monitor I let slip me by. 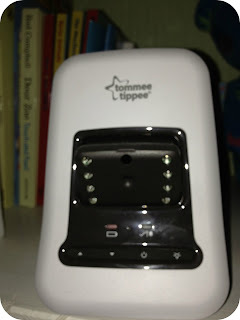 I was sent the Tommee Tippee Video Movement & Sound Monitor to review, and couldn't wait to make the transition from audio to video. I was intrigued to see exactly what my little guy gets up to when he is left to his own devices. The monitor is really easy to set up and once up and running provides crystal clear sound. You can hear absolutely everything, from the moment your little munchkin decides to awaken your cosy slumber with the wails and screams for ‘Mumma’ and ‘Dada’. Or even the happy giggles when they wake up in that absolutely glowing mood. But not only can you hear them. You can see them. The video monitor is amazing. I am not going to beat around the bush, I really rate it. When we received the monitor we were having some trouble with Leo's sleep. I found the monitor in-valuable at this time as it let me see absolutely everything that Leo was doing. I could see Leo standing up in his cot and I could hear him screaming so i knew straight off that sleep was certainly not immanent. That night Leo screamed for 1 hour and 45 minutes. He stood up screaming at me for what felt like forever. I wondered if he would give in and go to sleep as we hadn't had to practice controlled crying for a very long time. Eventually he sat down in his cot, and then lay down before he fell asleep and slept all night long. I was going into Leo and soothing him and then retreating back to the washing up, I felt more confident knowing that I could glance at the monitor to see how he was doing. I could see the progress he was making and when he FINALLY went off to sleep, I was really proud of myself and my video monitor. I have put together a short video that shows the monitor in use, it shows you just how great the night vision camera is and also how loud my toddler can scream when he wants to. It takes you through the motions of my night the evening he cried for 1 hour and 45 whole minutes, but don't fret it has been edited and is by no means that long! You will also see the talk back function as my little man tells me he wants 'more' meaning he wants his milk bottle topped up...and finally you will see the kitten jumping around in Leo's bed, solving the mystery of Leo's laughing after the lights go out. 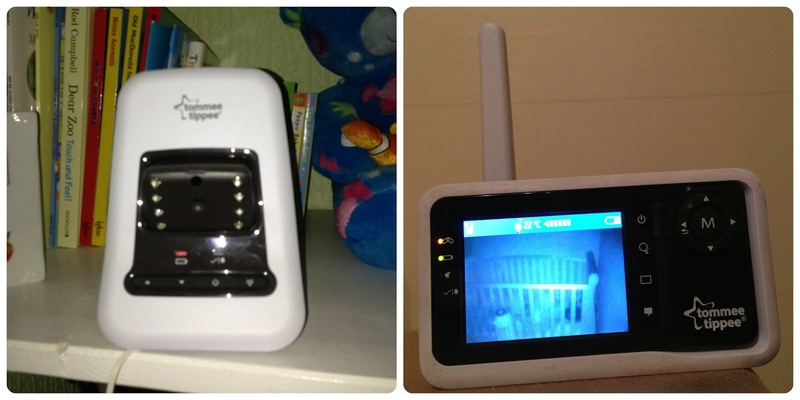 The Tommee Tippee Digital Video Movement & Sound Monitor comes with a pad. The Pad is installed under the cot mattress and is designed to detect your baby’s movements within the cot. If there is no movement for 20 seconds an alarm is sounded to alert you to a potential problem, meaning you can get in there pronto. I have found the sound clarity absolutely brilliant with this monitor (along with the video), I can put Leo to bed and come back downstairs to hear him chatting away to himself before he succumbs to his sleep. You can alter the sensitivity depending on what you want to hear, if you don’t want to hear absolutely everything in the room you can simply turn down how sensitive the monitor is to sound, or if you are like me and want to hear everything that is going on you can put it on the maximum setting. 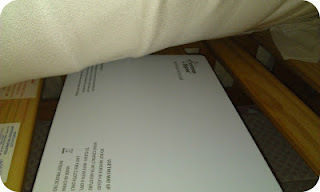 We have actually taken the mat off Leo's cot now that he is two whole years old, but I think it is a great idea and something that definitely provided me with the reassurance I needed in those early months. If and when I do have another baby I will certainly be re-using this. I have found this bit of kit really easy to work and fit into our lifestyle, besides the false alarms we experienced I think the monitor is really great. I will never be able to go back to a audio monitor again as I have found it so incredibly useful. I love being able to keep an eye on Leo when I physically can't be in the room with him. I do highly recommend this baby monitor and you can currently pick it up for £126.00 on Amazon at the point of writing this review. Disclaimer: I was sent the Tommee Tippee Digital Video, Movement & Sound Monitor for the purpose of this review. All views and opinions expressed are my own and have come from my personal experience with this product.